Colorado U.S. Senator Michael Bennet today announced that several Colorado priorities are included in the $1.1 trillion omnibus budget deal to fund the government through September 30, 2017. Restores year-round eligibility for the Pell Grant program, which will allow college students to continue their coursework during summer months. Bennet has pushed for year-round Pell grants since it was cut in 2011. Provides $150 million for the Denver RTD Eagle P3 project to complete the next phase of the Denver metro area’s light rail transportation project. Fully funds the Payment in Lieu of Taxes (PILT) program, which provides Colorado counties with funding to carry out vital services like fire and police protection, school construction, and road maintenance. Bennet has consistently advocated for full funding of this program. Increases funding for the National Renewable Energy Laboratory (NREL), located in Golden. The $92 million in funding is a $30 million increase from the previous budget. Increases investments in NASA, including $2.15 billion for the Space Launch System and $1.35 billion for the Orion Crew Exploration Program. Dozens of Colorado aerospace companies are involved in these projects. Increases funding for the Transportation Security Administration, including more money for security in unsecure areas and funding to help reduce long wait times at airports. Bennet worked with Denver International Airport to secure this funding to support the airport’s efforts to enhance security and improve the efficiency of its screening process. Includes language that will allow Colorado businesses to hire returning workers through the H-2B visa program. More than 300 Colorado businesses rely on the H-2B visa program to hire temporary non-agricultural workers for seasonal jobs that are vital to our state’s economy. The Southeastern Colorado Water Conservancy District has signed an Excess Capacity Master Storage Contract with the Bureau of Reclamation, culminating an effort that began in 1998. The master contract allows participants to store water in Pueblo Reservoir when space is available. 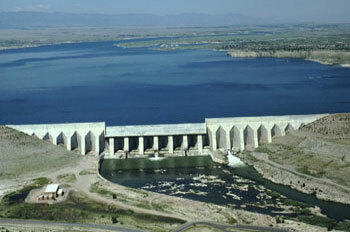 Pueblo Reservoir was built by Reclamation to store Fryingpan-Arkansas Project water and for flood control. But it rarely fills with Project water. Excess capacity contracts allow water from other sources, including Fry-Ark return flows, to be stored in Pueblo Reservoir. The initial contract will allow 6,525 acre-feet of water to be stored in 2017, which will become the minimum number for future years. The contract allows storage of up to 29,938 acre-feet annually for the next 40 years. For 2017, 16 communities signed subcontracts with the Southeastern District to participate in the master contract. Another 21 communities plan to join once the Arkansas Valley Conduit is built, and do not have an immediate need to join the contract. Participants in 2017 include: Canon City, Florence, Fountain, La Junta, Lower Arkansas Valley Water Conservancy District, Olney Springs, Rocky Ford, Penrose, Poncha Springs, Pueblo West, St. Charles Mesa Water District, Salida, Security, Stratmoor Hills, Upper Arkansas Valley Water Conservancy District, Widefield. 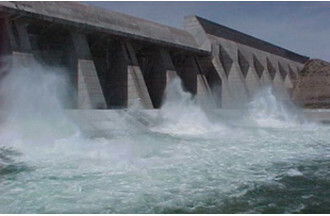 Reclamation first issued excess capacity contracts in 1986. Last year, more than 29 excess-capacity contracts were issued more than 60,000 feet – one quarter of the available space in Pueblo Reservoir. For many years, Pueblo Water, Colorado Springs Utilities and Aurora Water were the major entities that used the contracts on an annual basis. Pueblo became the first community to get a long-term contract in 2000. Aurora first used its long-term contract in 2008. In 2011, Colorado Springs, Fountain, Security and Pueblo West obtained a long-term contract as part of Southern Delivery System. The next step for the Southeastern District is the Arkansas Valley Conduit. Reclamation anticipates completing the feasibility study later this year, which will allow construction to begin. In a brief meeting Monday, the Pueblo County commissioners approved a resolution granting permission to the federal Bureau of Reclamation to access county property for field work associated with the proposed Arkansas Valley Conduit. Reclamation officials will conduct surveys and soil testing related to the conduit alignment, the commissioners learned. The county will be notified by Reclamation before entry onto county property is taken. Negotiations are continuing with participants in a master contract for the excess capacity storage of water in Fryingpan-Arkansas Project facilities, primarily Lake Pueblo. The Bureau of Reclamation released a public notice in The Pueblo Chieftain on Saturday seeking comments on its draft master contract with the Southeastern Colorado Water Conservancy District. The deadline for comments to the Eastern Colorado Area Office in Loveland is Sept. 15. The contract was negotiated in January, but did not include storage amounts. The district is in the process of meeting with each of the participants on the details of subcontracts, which will be submitted to Reclamation in order to finalize the contract, said Jim Broderick, executive director of the district. “We’ll be meeting with all the participants in August,” Broderick said. In the environmental impact statement for the master contract, there were 37 participants seeking nearly 30,000 acre-feet (9.7 million gallons) annually. More than half of those were participants in the Arkansas Valley Conduit, but others included several communities in the Upper Arkansas Valley, Pueblo West and El Paso County communities. The Senate Energy and Natural Resources Committee today approved three bills authored by Senator Cory Gardner (R-CO): legislation pertaining to the Arkansas Valley Conduit and Florissant Fossil Beds Monument as well as the Bolts Ditch Access and Use Act. Authorized in the 1960s, the Arkansas Valley Conduit project in Southeast Colorado will deliver clean drinking water to local communities across the region upon completion. Gardner’s bill extends greater flexibility to the Southeastern Colorado Water Conservancy District by allowing the maximum use of miscellaneous revenue collected from the Fryingpan-Arkansas Project to be immediately reinvested into the Arkansas Valley Conduit once construction begins. Gardner’s Bolts Ditch Access and Use Act would authorize special use of the Bolts Ditch headgate and the segment of the Bolts Ditch within the Holy Cross Wilderness Area, allowing Minturn to use its existing water right to fill Bolts Lake. This would solve a problem created in 1980 when Congress designated Holy Cross Wilderness area, but inadvertently left Bolts Ditch off of the list of existing water facilities. Gardner’s Florissant Fossil Beds Monument legislation will allow for enhanced wildfire protection as well as additional habitat for wildlife and recreational opportunities for visitors. Established as a national monument in 1969, the Florissant Fossil Beds National Monument is located west of Pikes Peak and less than 40 miles from Colorado Springs, CO. The park is home to diverse fossil deposits, maintaining a collection of over 12,000 specimens. The park also provides recreational experiences and curriculum-based education programs for its visitors. A private landowner submitted a proposal to donate 280 acres of land adjacent to Florissant Fossil Beds Monument, but due to current law the land transfer cannot take place. The park, which currently possesses 5,998 acres of land, has a legislative ceiling of 6,000 acres. Therefore, if acquired, the 280-acre parcel of land would project the park above its legal threshold. This legislation is commonsense in that it would permit a private landowner to donate land to Florissant Fossil Beds National Monument. A bill that would ease the cost burden of the Arkansas Valley Conduit to local communities got its first hearing in the U.S. Senate water and power subcommittee Tuesday. The bill, S2616, would allow miscellaneous revenues from the Fryingpan-Arkansas Project to be applied to the local match of the conduit. Legislation in 2009 allowed those revenues to be applied to the federal cost of building the $400 million conduit. Because of the 65-35 cost share, however, the Southeastern Colorado Water Conservancy District will face heavy expenses. The bill would allow the district’s share to be paid first, with any funds not needed being used to repay the federal share. Under the new law, the costs of Ruedi Dam, the Fountain Valley Conduit and South Outlet Works still would be repaid before funds could be used for the conduit. Like the Arkansas Valley Conduit, they are all parts of the Fryingpan-Arkansas Project which was authorized in 1962. The district is anticipating up to $100 million in loans from the Colorado Water Conservation Board — $60 million already has been committed, said Bill Long, president of the district board. He presented the committee with a letter of support from the CWCB. Long, a Las Animas businessman and Bent County commissioner, detailed the water quality problems faced by the Lower Arkansas Valley. Those include radioactivity, salts and sulfates. The 40 communities involved in the project serve more than 50,000 people and face increasingly strict regulatory standards, he said. Sen. Cory Gardner, R-Colo., a member of the committee, and Sen. Michael Bennet, D-Colo., are co-sponsors of the legislation. “Water is a precious resource in Colorado and throughout the west. As home to the headwaters for 20 states, our communities continuously look for ways to conserve water,” Bennet said. During the hearing, Estevan Lopez, commissioner for the Bureau of Reclamation, lent his support to the bill. “While we are still undertaking a detailed analysis of the full implications of such a reallocation of federal receipts, the reallocation of federal revenues to a non-federal entity for the benefit of that non-federal entity should be given careful consideration,” Lopez said. Lopez said about $21 million in appropriations already has been provided through this year. At least $3 million is anticipated this year. Construction on the conduit is expected to begin in 2019. Once the conduit is completed, there would be a 50-year repayment of the 35 percent local share that is addressed in S2616. 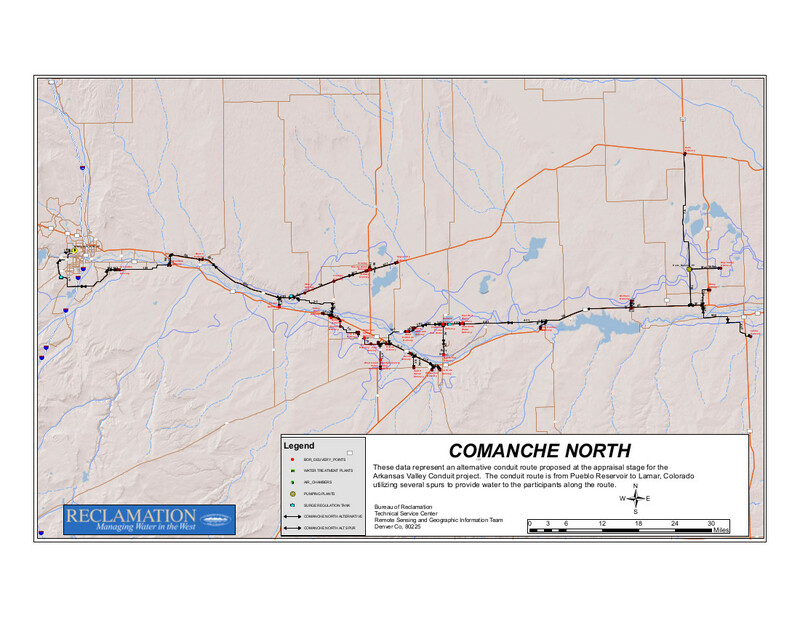 A bill that includes $3 million for the Arkansas Valley Conduit passed the U.S. Senate today on a 90-8 vote, with both Colorado senators working to include funding for the conduit. The Energy and Water Development Appropriations bill (HR2028) has passed the House and now will go to President Barack Obama to sign into law. The $3 million for the conduit will continue work on planning and land acquisition for the conduit, which will provide clean drinking water from Pueblo Dam along a 120-mile route to Lamar and Eads. A total of 40 communities serving 50,000 people will benefit. “Some of the pieces have finally started falling into place,” said Bill Long, president of the Southeastern Colorado Water Conservancy District, the sponsor of the conduit. Long will travel to Washington, D.C., next week to testify on behalf of legislation (S2616) that would allow the district to use miscellaneous revenues from the Fryingpan-Arkansas Project to repay nonfederal loans. The legislation is key to making the cost of the conduit, which could be as high as $400 million, affordable to Arkansas Valley communities, he said. The $3 million was included in the administration’s budget, and Sen. Michael Bennet, D-Colo., said he fought to keep it in the bill. The conduit is part of the original Fryingpan- Arkansas Project, but was not built because of the expense. Now, the communities in the Lower Arkansas Valley are seeking its construction because of the escalated cost of other methods of treating water in order to reach state and federal water quality standards. Sen. Cory Gardner, R-Colo., applauded the vote because it assisted the conduit, as well as the National Renewable Energy Laboratory in Golden. Bennet and Gardner are co-sponsors of S2606, the bill Long is scheduled to testify about next week.